With variable movement a given for most American Hockey League rosters, consistent sources of production are of high value. Michael Bunting has points in each of the Roadrunners’ previous six games, a span that’s seen him accumulate a total of eight (3G, 5A). It’s been a critical juncture of time in which the club has looked to fill the void of Dylan Strome, as well as the momentary absences of first line staples Nick Merkley and Lawson Crouse. There’s no time to dwindle on change; adaptation is a must and names are expected to step up. Bunting, who’s been seeing time on Mike Van Ryn’s first line the past couple of games, has been taking accountability. The Scarborough, Ontario native doesn’t boast the most overwhelming stature, standing in at 5’11” and 197 lbs., but he utilizes his agility to stick. 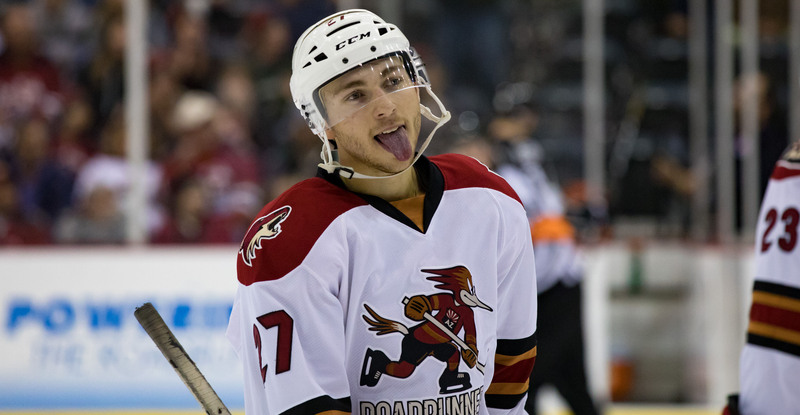 The third-year pro registered 28 points (13G, 15A) in 67 games with the Roadrunners last season, and with 13 points (7G, 6A) through 21 contests this year, is well on his way to setting a new career-high mark, currently on pace for 41 points. 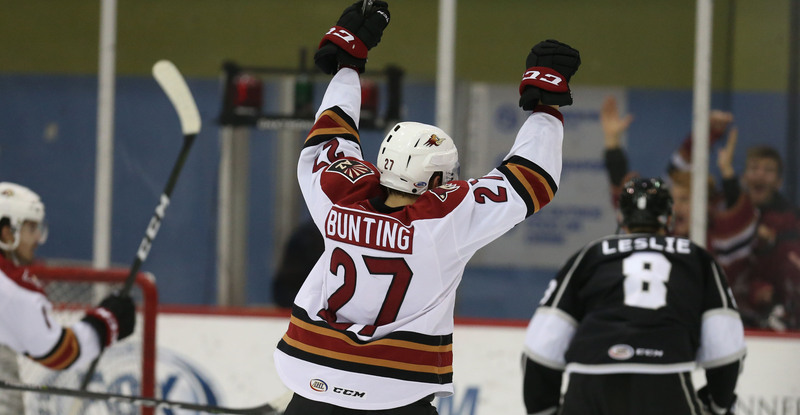 Bunting’s current run of points in six consecutive games is one shy of tying a franchise record of seven, set by Brendan Perlini, Christian Fischer, Kyle Wood, and Dylan Strome. It’s not always pretty, but that’s not how they come for Bunting, who cashes in most often from secondary chances in front of the net, getting sticks on rebounds, weaseling around defensemen for positioning. Tenacity; the eyes can tell you he plays with it, and it’s a common sight when watching him on the ice. Bunting may be riding a streak of his own, but the focus is on snapping the slight skid the team has found itself in, a rough patch they’ve yet to endure this season. His offensive touch of late could be of great use to a club that’s in need of a mentally fulfilling, morale boosting victory Saturday night. If Bunting’s streak does continue, it’ll do so against a team he’s already put up three points against this season.